The two writ petitions seeking an independent probe into the death of CBI special judge Loya came up for hearing before the Supreme Court bench of Chief Justice Dipak Misra, Justice D. Y. Chandrachud and Justice A. M. Khanwilkar on Monday. The hearing commenced with the counsel for one of the petitioners submitting before the bench that the document supplies in respect of the matter are not complete. “I would like to have access to the full postmortem report and the ECG report”, said the advocate. This was followed by Senior Counsel Harish Salve, appearing on behalf of the state of Maharashtra, drawing the attention of the bench to the November, 2017 report of investigation submitted to the Chief Justice, Bombay High Court and the government, “The report narrates the investigation conducted by the Director General of Police. It contains statements from judicial officers who were accompanying Judge Loya as to the entire sequence of events leading to his death”. Thereafter, Mr. Salve read out portions of the report containing the said statements as to how Judge Loya complained of chest pain early in the morning, was carried to the hospital in a car, placed on a stretcher and taken into the ICU. “All these are sitting judicial officers who have given these statements under their signature. What more is required in terms of proof?” remarked Mr. Salve. “The theories being advanced by the respondents are contradictory. 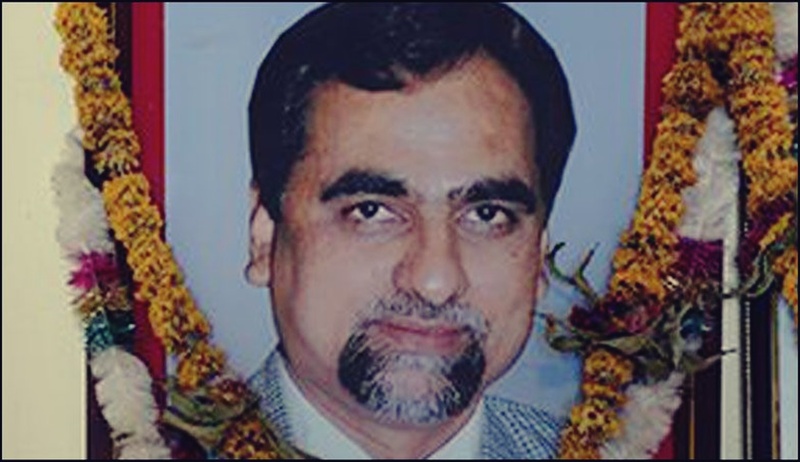 The entries of the government circuit house in Nagpur where Loya is alleged to have stayed do not confirm the alleged fact. I would like to ask why Judge Loya’s Family was not invited to the said guest house by the Chief Justice of the Bombay High Court who was staying there too in the morning when Loya took ill? We have procured some documents under RTI queries that we wish to file before this court which will bring out these contradictions”. “Mr. Salve should not be allowed to assist in this matter. He had earlier appeared for Amit Shah. There is a conflict of interest. Let the assistance of the Attorney General be sought”. “It is clear that Loya complained of chest pain at 4 in the morning. He was rushed to ‘A’ hospital by 4 judicial officers and the registrar of the High Court. From there, he was being taken to ‘B’ hospital, but succumbed to death on the way. That is why a post-mortem had been conducted”. “The Bombay HC is due to hear the similar petition tomorrow. The Supreme Court shall have the benefit of its judgment. The present petitions have been filed to preempt the proceedings before the High Court”, submitted Mr. Dave. “The father and sister of Loya have sought an inquiry into his death. His 19 year old son had requested for a probe. But interestingly, the then Chief Justice of the High Court met the son in his chambers and thereafter stated that the son wants no inquiry”. “The records of the documents are not complete. We wish to produce some more documents”. “We would like to see everything. We cannot rest our analysis solely on articles appearing in the Caravan, Indian Express, Wire or Scroll. We must have a list of documents as we cannot examine records on an ad hoc basis”. The bench on Monday also directed the transfer to itself of the similar writ petitions pending before the Bombay High Court, besides ordering the Bombay High Court as well as all other High Courts to not entertain any petitions where the fact in issue is identical to the present petitions. “This almost amounts to a gag order. This is not appropriate, remarked Ms. Jaising. “The entire system is trying to protect one man. Let us agree from today onward that Loya’s was a natural death. But only because a matter is sub judice, why can the nation not debate the same? There were no such orders sought in matters regarding Shashi Tharoor and Chidambaram”, argued Mr. Dave. Senior Counsel Pallav Shishodia remarked, “They are acting as self-appointed conscience keepers”. “This court has upheld the freedom of speech and expression recently with regard to the ban on the film ‘Padmaavat’. The same court should not pass such orders restricting the same”, argued Ms. Jaising. “We have not passed any order to that effect. Please expressly withdraw your statement. And please do not make such comments”, said Chief Justice Dipak Misra. On Mr. Shishodia’s submission that the bench may “advice” the counsels to respect the confidentiality of the matter, Chief Justice Misra remarked, “We do not advice, we order”. But the bench finally rejected the prayer. The matter is scheduled for further hearing on February 2. The petitions seeking independent probe into the mysterious death of CBI special judge Brijgopal Harkishan Loya in 2014, when he was presiding over the Sohrabuddin fake encounter case were filed by Maharashtra-based journalist Banduraj Sambhaji Lone and Congress leader Tehseen Poonawalla, respectively. In addition to the petitions before the apex court, two similar writ petitions are also pending before Bombay High Court, one by the Bombay Lawyers’ Association, and other by one Suryakant Lodge.